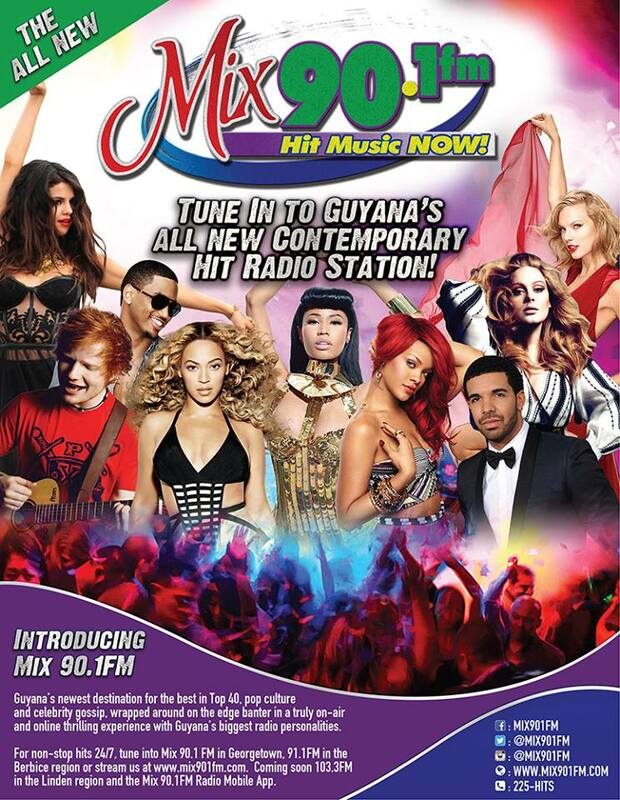 Welcome to Mix 90.1 FM, Guyana’s all new contemporary hit radio station! Unique to the market, Mix 90.1 FM brings a core playlist of the biggest names in music, including Katy Perry, Pitbull, Beyoncé, Justin Timberlake, Mariah Carey, Bruno Mars, Madonna and more, spinning a mix of top artists delivered in 15 minute non-stop blocks. Its Guyana’s newest destination for the best in Top 40, pop culture and celebrity gossip wrapped around on the edge banter in a truly on-air and online thrilling experience. For non-stop hits 24/7, tune into Mix 90.1 FM or connect online at mix.com or on the Mix 90.1FM Radio mobile app or listen live at 90.1 FM in the Georgetown, 91.5FM in the Berbice region and coming soon on 103.3FM in the Linden region. Interact with us on Facebook, Twitter and Instagram! © MIX 90.1 FM 2019 | Website by GxMedia.